Modern life is hectic. Days start early, nights finish late, and many of us struggle to get everything done. Sleeping eight hours a night? In your dreams. Less sleep can lead to less energy, difficulty with concentration, short-term memory loss, and feeling fatigued most, if not all the time. Lack of sleep and low energy reduces productivity, making life even more hectic. A vicious cycle. To remedy this, many of us are highly dependent on coffee and energy drinks. New brands come out almost every week—some even promising to help you fly. If you’ve tried any of these drinks, you know how syrupy sweet they taste. Advocare Spark® is a sugar-free alternative. It’s an energy drink that delivers a powerful caffeine kick and also contains a host of other substances including vitamins, minerals, amino acids, and other potentially beneficial ingredients. Does Advocare Spark® mean the end for coffee? Let’s take a look. Advocare Spark® is an energy drink sold by AdvoCare International L.P., an American company founded in 1993 by Charles Ragus. The company sells nutritional supplements, weight management, energy, and sports nutrition dietary supplements using the direct selling business model. 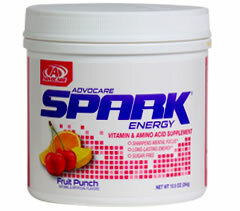 Spark is one of approximately 90 Advocare products. Unlike many energy-boosting products, Advocare Spark® is very low in calories, contains only four grams of carbs, and is completely free of sugar. It comes in seven different flavors: watermelon, grape, fruit punch, pink lemonade, green apple, mango strawberry, and mandarin orange. Advocare Spark® is sold in powder form and supplied in individual pre-portioned packages designed to be added to plain water. What gives this product it’s spark? Caffeine – Each serving of Spark contains 120 mg of caffeine. Caffeine is a renowned stimulant that boosts mental and physical energy. Caffeine has also shown to increase focus, speed up the metabolism, and even boost athletic performance. A standard cup of coffee contains around 90 mg of caffeine, so Advocare Spark delivers a strong caffeine kick. On the downside, caffeine can also cause nervousness, agitation, and disrupt your normal sleep cycle, so you should avoid drinking Spark too close to bedtime and use with caution if you are sensitive to the effects of caffeine. Taurine – Taurine is an amino acid found naturally in the body and is also found in beef, lamb, dark chicken meat, eggs, most dairy products, seaweed, krill, and brewer's yeast. Research suggests that this ingredient can increase mental alertness and improve reaction time, memory, and concentration. B Complex Vitamins – the B vitamins, found in the form of riboflavin, niacin and pantothenic acid, play a vital role in energy production and, in particular, converting carbohydrates and fats into usable energy. By unlocking the energy in your body, B complex vitamins help to provide energy despite not containing any themselves. The B vitamins have also been shown to be essential for healthy brain function. L-tyrosine – this ingredient is another naturally-occurring amino acid and is used in the production of noradrenaline and dopamine. Research suggests that it is good for reducing stress and may improve memory. L-tyrosine may help also reduce the anxiety and jitters caused by a large dose of caffeine. Choline – This ingredient is used in the manufacture of acetylcholine which, studies reveal, is a neurotransmitter that helps sustain the nervous system and sharpen mental function. GABA (gamma-amino butyric acid) – Research suggests that GABBA has a calming effect which may seem out of place in an energy drink, but can help reduce anxiety and stress which, in turn, can contribute to improving productivity and mental focus and also improve memory. Advocare Spark® does not come with a specific dosing protocol, and you should use it as and when you need a boost of energy. For some, that will be first thing in the morning while others may need it in the afternoon to avoid the post-lunch slump. Each energy boost should be quickly noticeable – after around 20-minutes – and last several hours. However, most people should limit their intake to no more than four servings per day. Two servings should be enough for most people. If you use high-caffeine energy-boosting products too often, it’s very easy to develop a tolerance to the ingredients so that they produce a less noticeable effect. Advocare Spark® is designed to mix easily with water, without using a blender. Ideally, it should be mixed with about 8 ounces of water. However, some users reported that they had difficulty getting a lump-free drink when they added the dry powder to a large glass of water. To avoid this problem, open your sachet of Spark® and pour it into an EMPTY glass and then fill the glass about a quarter of the way up. Next, use a spoon or a fork to stir the powder until it’s fully incorporated into the water. Feel free to squash any lumps against the side of the glass to break them up. Because the glass is only partially filled, you’ve got plenty of space to do this without spilling. Then, when your Spark® is mixed and lump-free, add more water and stir again. Continue adding water and stirring until your glass is full and then stir one more time. You should now have a lump-free glass. Alternatively, you could use an eclectic whisk or blender or shaker cup designed for making protein shakes. While many of the ingredients in Advocare Spark® have been shown to boost energy, both mental and physical, the product itself has not received much scrutiny. In fact, the only noteworthy study that involved Advocare Spark® was done on 20 National Collegiate Athletic Association Division One football players. The player’s sprinting power and speed were tested both before and after using Spark®. Results were mixed, with some players performing better and some permorming worse after consuming Spark®. Despite this singular, non-conclusive study, many other studies support the use of the ingredients in Spark to boost mental and physical energy. Source: Human Movement Science Program, Utah State University, Logan, UT, USA. There is no denying Spark® will give you energy. That’s what happens when you ingest 120 mg of caffeine! However, if you constantly feel you need to boost your energy with something like Spark, you might be better off addressing other aspects of your lifestyle. After all, continuously low levels of energy are not normal and could even indicate that you are unwell. Getting more sleep, cutting down on alcohol, exercising regularly, eating a healthy and balanced diet, consuming less sugar, cutting down on dietary and environmental toxins, and reducing stress can all help increase energy by eliminating the things that rob energy from your body. If you still need the occasional energy boost, Advocare Spark can help. Maybe you’ve got to pull an all-nighter at work, or you had a disrupted night’s sleep and need something to give you some extra “get up and go.” Coffee will get the job done, but the blend of ingredients in Spark® are designed to give you fast acting but sustained energy while ingredients like GABA and l-tyrosine should help reduce some of the common side effects of consuming large doses of caffeine. It’s important to note that, despite including natural “downers,” some users still report that Spark gave them caffeine jitters, headaches, and even palpitations. That’s is up for debate. While this product does give you energy, it also contains some questionable ingredients that might not be especially good for you. If you read the ingredients list, you’ll undoubtedly spot things that are obviously chemicals rather than natural substances; things that are not part of a normal, healthy diet. Sucralose, for example, is an artificial sweetener that, while approved for human consumption, is considered to be unhealthy and even dangerous by some nutrition experts. 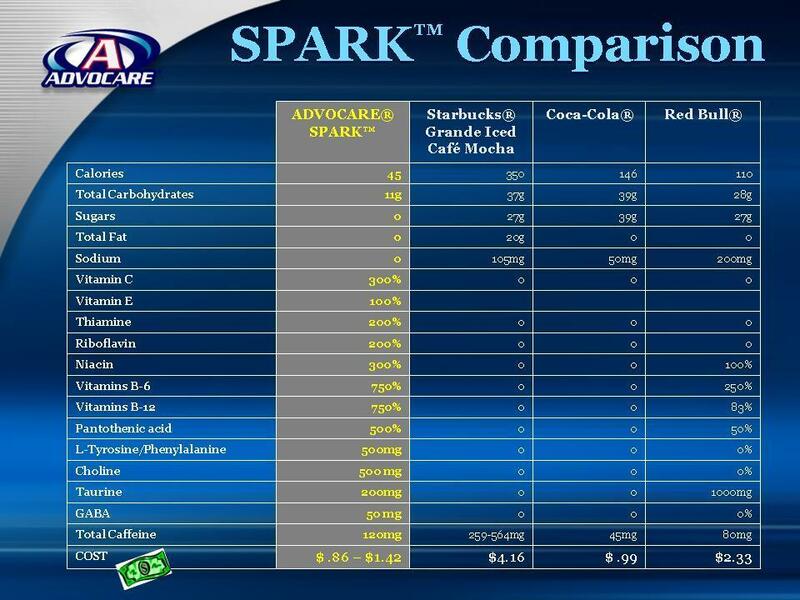 Advocare Spark® is basically a processed food, and if you care about your health, processed foods should be avoided. Yes, this product is very low in calories and could, in theory, help you lose weight, but there is more to weight loss than simple calorie-counting. Food quality is every bit as important as food quantity. So… should YOU use Advocare Spark®? Occasional use of this product is probably fine. It’s an effective energy booster that contains some interesting ingredients that may make it even more effective than using caffeine alone. However, it’s best reserved for occasional use rather than a nutritional mainstay as long-term use could be detrimental to your health while masking the underlying reason for your tiredness. It’s not suitable for people with high blood pressure, heart problems, or anyone who is especially sensitive to the effect of large doses of caffeine. Nor should it be used by kids. Bowflex Max Trainer: A 14 Minute Workout? Is VitaPulse Good for Your Heart? Do Vital Reds Really Work?